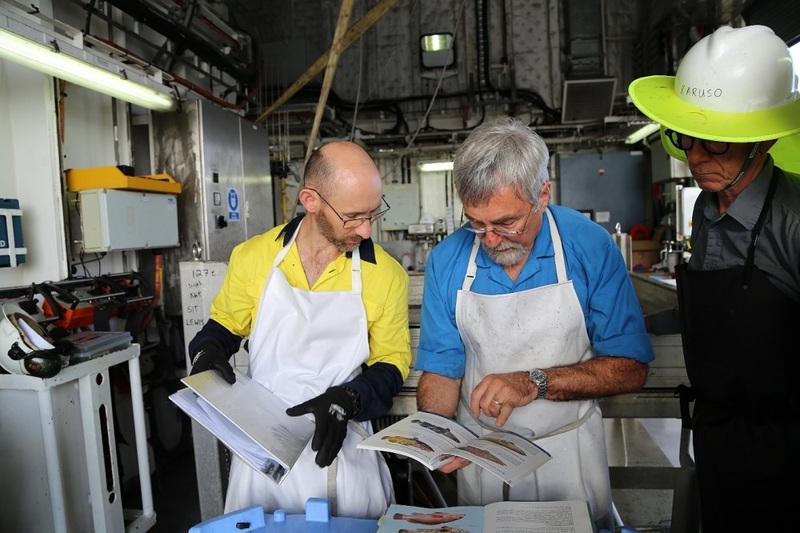 Marine ecologist Keith Sainsbury is on the Marine National Facility research vessel Investigator conducting research into the recovery of the North West Shelf (off Western Australia) after heavy trawling activity in the 1970s and 80s. “There is nowhere else in the world where this type of opportunity exists. Where you have a structured set of zoning changes to a fishery to give trawled and untrawled areas in place for decades, plus historical surveys that you can come back and repeat 30 years later to test long-term effects, and now on a vessel with this huge high tech observing capability,” he said. Departing the port of Broome on 11 October, Investigator has covered over 2600 nautical miles. 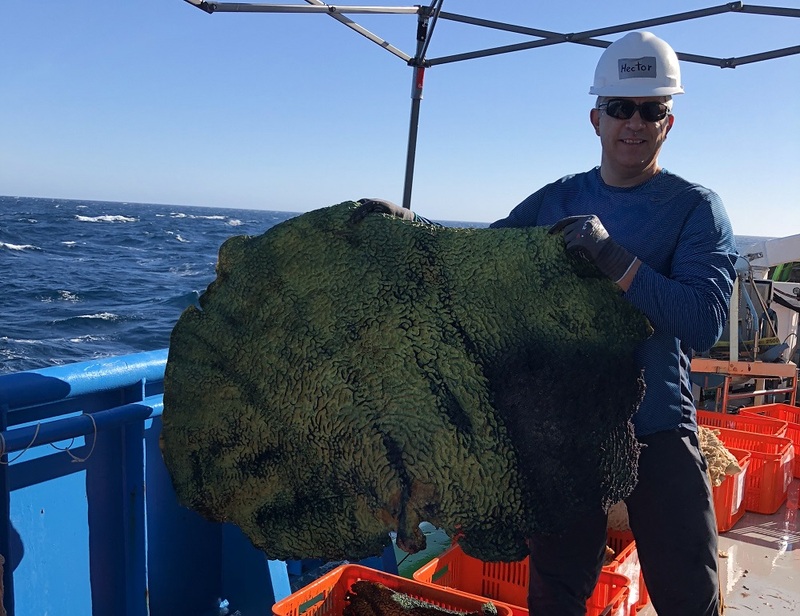 Complete with a ship crew of 20 personnel and 40 scientists (including five taxonomists), the team have conducted over 420 operations to date, just shy of three weeks into the 31 day voyage. Keith was a pioneer in the early research effort to understand the north-west shelf marine ecosystem and conducted the first 10 years of monitoring the adaptive management experiment which led to the zoning of the current trawl and trap fishery. The current voyage is revisiting Keith’s experimental design. “The preliminary sampling results thus far may indicate favourable improvements in the health of the fish community on the North West Shelf. 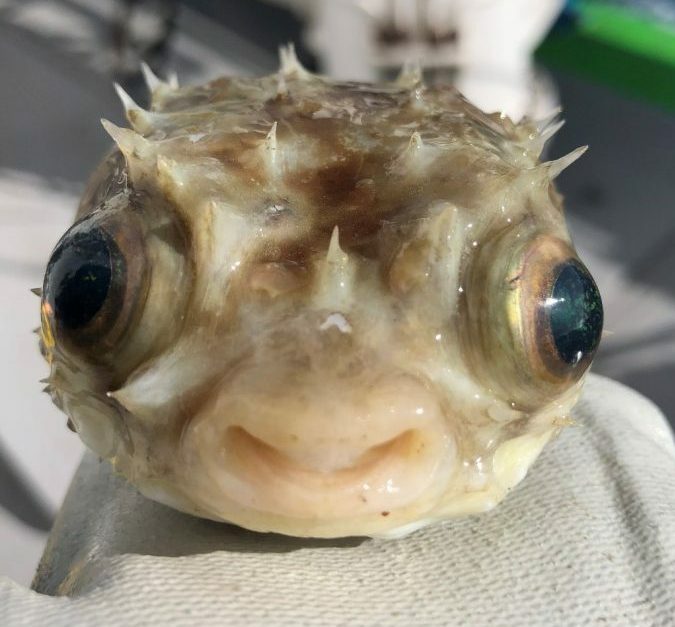 Improvements were predicted and are being sighted in three main areas; seabed habitats, species composition of the fish community, and size composition of individual fish species,” Keith said. While firm conclusions must wait for analysis of the information collected on the voyage, overall impressions are that this improvement has occurred, particularly in areas that have been closed to trawling or lightly trawled since the early 1990s, where we are seeing an abundant number of thriving species, and an increase in scale of large sized sponges. Led by Chief Scientist John Keesing, this research will provide scientific advice on sustainable fishing practices both in Australia and internationally. The voyage operates on a non-stop 24 hour schedule, separated into 12 hour shifts over rotating day and night operations. Operations on board have yielded samples and data for an amazing array of sea life including highly diverse sponges and fish fauna. Although no new species have been found, there have been some scientifically interesting and important observations. Surprising finds include the successful sampling and live release of large span sting rays, and the recording of sponges in sizes which were not evident when we last surveyed the area back in the 1980s. Collecting samples using a limited number of controlled research trawls allows us to accurately identify the types and numbers of fish and invertebrate species and combined with high definition videos of the sea floor ecosystem gives us the best possible understanding of the current system state. The last operation on this voyage will be carried out on 7 November. There are 28 sites on the North West Shelf left to explore, with seven different operations at each site. The Investigator will then sail into port, docking in Henderson on 10 November, with all samples and data packed and ready for analysis. The findings from the voyage will be published at a later date. For more information on this research read our pre-voyage blog on ECOS. Curious about the effects of trawling?